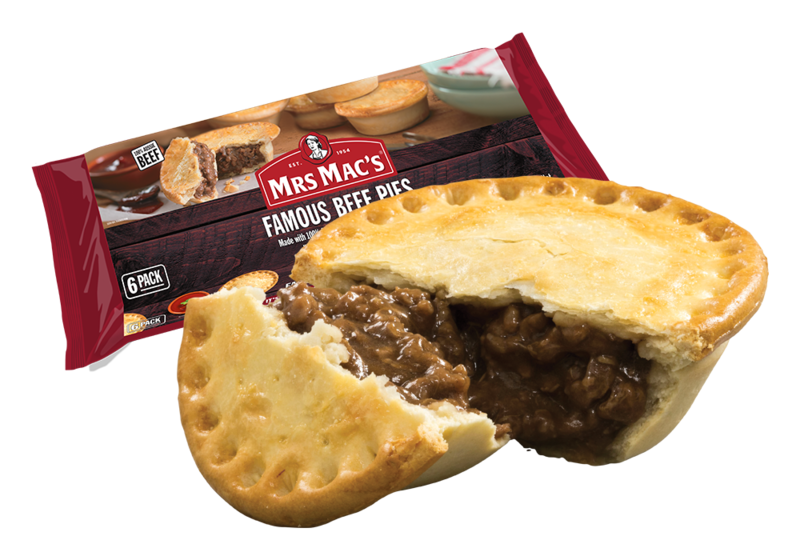 Made with 100% Australian beef in a rich, tasty gravy, wrapped in our crispy, golden pastry. Wheat Flour, Water, Beef (Minimum 25%), Margarine [Vegetable Oil and/or Animal Fat, Water, Salt, Emulsifiers (471, 472c and/or Soybean Lecithin), Antioxidants (304 and/or 320), Natural Flavour and/or Flavour, Natural Colour (160a)], Thickener (1422), Textured Wheat Protein [Colour (150c)], Seasoning [Flavour Enhancers (621, 635)], Salt, Hydrolysed Vegetable Protein, Flavour [Wheat, Soy], Colour (150c), Sugar, Glaze [Milk, Natural Colour (160a)]. MUST BE COOKED BEFORE CONSUMPTION. Oven method is preferred as microwave method softens pastry. 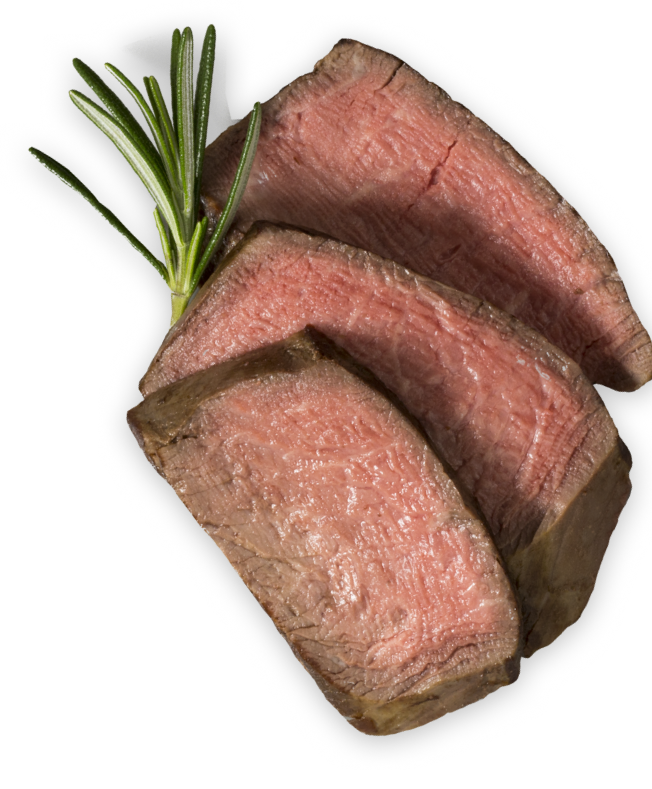 These are guidelines only and cooking time will vary with the make, model and age of the oven or microwave oven. OVEN: 1. Preheat conventional oven to 180 °C (350 °F) or fan forced oven to 160 °C (320 °F). 2. Remove pies from packaging. 3. Place pies onto baking tray. 4. If Defrosted: Cook for approximately 25 mins. If Frozen: Cook for approximately 35 mins. MICROWAVE SHORTCUT (1000 watt, individually cooked): 1. Preheat conventional oven to 180°C (350°F) or fan forced oven to 160 °C (320 °F). 2. Remove pie from packaging and wrap in paper towel. 3. Place onto a clean microwave safe plate. 4. Frozen: Cook on High for 2 mins 40 secs. 5. Remove paper towel and place on baking tray. 6. Cook in the preheated oven for 6 mins.